This June, Prato will be heaven for all local foodies. 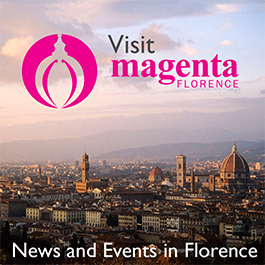 eatPRATO, a three day food festival, comes to the small city only 10 miles NW of Florence from the 9th – 11th. For one glorious weekend, the city will be abuzz with food sampling, cooking shows, children’s pastry workshops, and even an evening walk to discover Prato’s rich and delicious history. Thanks to the city of Prato in collaboration with the Carmignano Wine Consortium, and the Region of Tuscany, the event is back for its second year in a row at the gardens of Palazzo Buonamici, seamlessly mixing local history and yummy delights into a fun filled weekend for the whole family. eatPRATO will kick off June 9 with a preview of festivities at 5:30 pm where food blogger and photographer Giulia Scarpaleggia will present her new book on finding the best products in local markets, La Cucina dei Mercati in Toscana. At 7 pm the festivities officially begin with drinks introduced by wine critic Leonardo Romanelli, including a crash course on fancy cocktails like “An American in Prato” made with red vermouth. The evening will continue with wine tastings by local restaurateurs, an artisanal beer event, and quick lesson on the famous Prato almond-studded biscotti. At 11 pm the event Pane & Stelle (Bread & Stars), will begin. This is a late-night walk through the streets of Prato to discover architectural and cultural beauty as well as discover the late night bakers as they cook up the next day’s treats. Reservations required, €5. Saturday, June 10 will start nice and early with an adventure to Prato’s Mercato Terra – open 8 am to 1 pm – the fresh produce market where visitors can buy in season fruits and vegetables, salami, cheese, freshly fished fish, baked goods and more. Free, guided visits will also be held for the public at the Molino Bardazzi – an old grain mill. Tours begin at 9:30 am, 10:30 am, 11 am, and 12 pm. Reservations are required. Beer lovers can enjoy tours of Birrificio La Foresta – an artisan beer factory and gardens. Tours begin at 3 pm, 4:30 pm, and 6 pm at €10 per person; reservations are suggested. More guided tours will happen later in the evening starting at 9 pm. The DolceLab pastry workshop for kids will have sessions at 4:30, 5:15, 5:30, and 6:15 pm. The workshops are free but reservations are suggested. At 5:30, across the way at the eatPRATO book section of the festival, enjoy an exploration into the world of pasta with Eleanora Cozzella as she discusses her book Pasta Revolution, serving up an in depth look at the ordinary staple that can be transformed any which way to make extraordinary dishes. From 6 pm to midnight, wine connoisseurs can savor some of Tuscany’s finest vintages at the Buonamici Palace Gardens – for free! This year’s selection for the Gardens of Taste will include more than 60 different labels of wine from the famous Pinot Noir to Carmignano Riserva. The evening will end again with the Pane&Stelle night tour of Prato’s bakeries at 11 pm. The grand finale Sunday, June 11 will include the top hits of the last few days – including the DolceLab kids pastry workshop at the same times, Gardens of Taste to give wine lovers the whole evening to excite their taste buds, with the edition of a free wine tasting lesson at 7:30 pm. 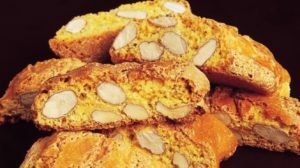 The celebrations will conclude with AperiPRATO, a classic Italian aperitivo with a DJ and even a lesson and performance on the making of Italy’s favorite cookie – the quintessential almond studded crunchy biscotti. Cooking shows will be held at 7 pm at I Frari delle Logge Bar Ristorante, 8:30 pm at Le garage Bistrot, and 9:30 pm at Ristorante Il Capriolo.